Whether it’s for a work of fiction, a hobby, or a particular celebrity, an online fandom brings people from all walks of life together to share a common passion. If you’re active in one or more fandoms, you’ve probably found yourself in a circle of individuals that you frequently interact with through messaging boards or social media fan pages. After some time, you’ll want to arrange a meetup so everybody can meet each other in person. Deciding to schedule a meetup is one thing, but making sure the meetup goes as well as you hoped for can be quite the challenge. You have to make sure your meeting is something that everyone invited will look forward to. You want them to feel that the trip is worth it and that they’ll have a blast. Don’t know how to make your meetup more exciting? Here are a few tips on planning the perfect one. A sure way to kill the hype of any planned meetup is to have plenty of miscommunication. If you fail to coordinate as early as the planning stages of the meetup, you’re bound to have people getting the wrong information. Some people may even end up not getting invites and fail to show up. You have to make sure everyone is properly updated, and that’s where a group communication app like BAND comes in handy. BAND allows you and the people in your fandom to stay connected to each other as long as they have a smartphone or other internet-capable device. By creating a dedicated chat group and messaging board, it will be easier to relay information to the people invited to the meetup. You can even hold group voice calls, which is perfect for coordinating with teams of people that can help prepare for the meeting. There are a few things you should remember when looking for a venue. First, it must be recognizable enough so that even people unfamiliar with the place won’t have trouble finding it. Next, it must be somewhere that you can easily find each other in since trying to look for people in crowded or bewildering places can be difficult. Last but not least, you want to set the meetup somewhere that is fun and interesting. While meeting at coffee shops or restaurants are safe options (bonding over food is always good), you can always go for something more exciting such as amusement parks or events related to your fandom. This is especially true for “geeky” fandoms that can go to sci-fi or cartoon-themed events, complete with cosplayers or toy exhibits. Some members of the fandom will still find it awkward to talk in person even if they’ve already spent months interacting with other members of the fandom. You can help them open up and feel more comfortable with an icebreaker activity. 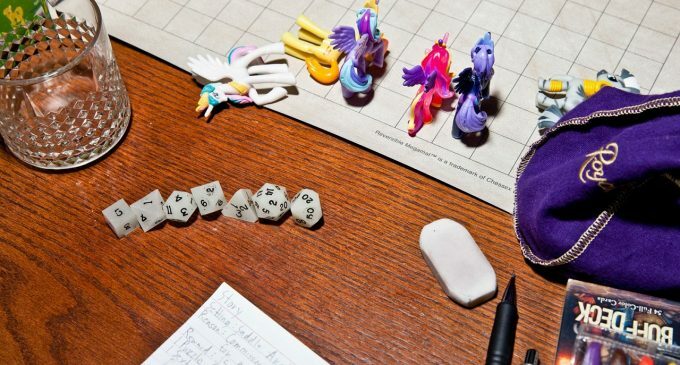 There are many icebreaker games or activities out there, but the right one greatly depends on the type of fandom you’re in. If your fandom is dedicated to a hobby, you can use simple introduction activities by asking them their name and how they got into the hobby. For fandoms dedicated to fiction books or comic series, trivia games are a quick and easy way to get the fun started. Having a major activity during the meetup will serve as the highlight of that day, so you want something that will “click” with your members. For example, if you’re a group of gamers, you can hold a mini games tournament or something as simple (but fun) group viewing session of the latest video game trailers. If you’re a sports-oriented fandom, a trip to the nearest sports stadium to watch a game or hosting your own game will keep everybody entertained. Of course, meetups don’t always have to be about doing your favorite fandom-related activities. There are times when just getting together is enough, but you can still make things exciting by taking them to a gimmicky restaurant or an amusement park. If you choose the right venue prior to the meetup, you should have one or two nearby destinations where people can spend a great time together. For most people, a meetup is more than just seeing the faces behind online aliases; it’s a chance to develop a more personal relationship with other people that share their love for something. Plan an exciting meetup and your fellow fans will regard you as one of the best people they’ve ever met.